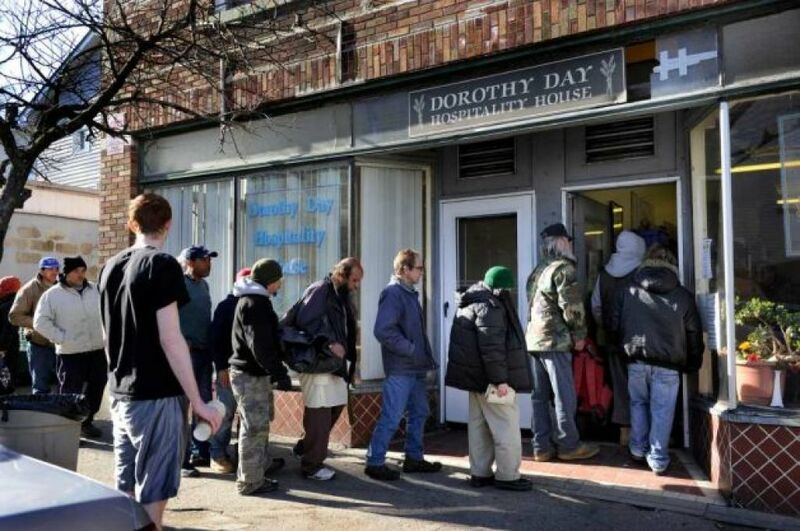 Dorothy Day Hospitality House is a Catholic center in Danbury dedicated to the coporal works of mercy such as feeding the hungry and welcoming the stranger. Having been fed with the Eucharist at the Liturgy, Dorothy Day ministers feed and serve those who seek a warm meal. Sacred Heart of Jesus Parish collects non-perishable items during Mass, the first Sunday of each month to be donated to the Dorothy Day Hospitality house in Danbury. On the first Sunday of each month, in addition to delivering non-perishable items, Sacred Heart parishioners cook and serve the afternoon meal at Dorothy Day. For a list of desired items, or for more information about the Dorothy Day Hospitality House click here.